Magnolia Oakland, your Oakland dispensary! Serving Bay Area medical marijuana patients since 2013, and recreational users since 2018. Welcome to the Magnolia Wellness webpage. Magnolia Wellness is a full service cannabis dispensary located in the heart of Oakland at 161 Adeline Street. 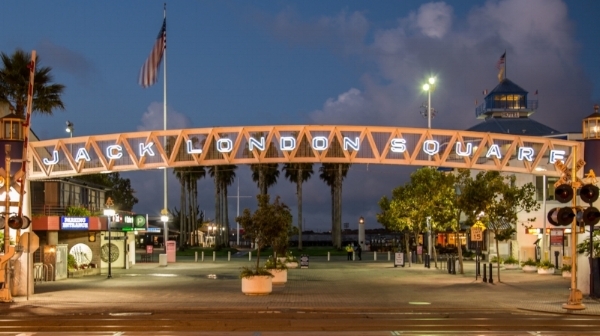 We are open 7 days a week from 9 a.m. until 8 p.m.
We are only steps away from beautiful Jack London Square and the iconic Oakland Chinatown. There is easy access from BART and the major highways. We have plenty of free parking. Directions to Magnolia Oakland from Chinatown Oakland. This website is designed to provide not only valuable information for current customers, both adult users and medical patients, but to also provide the latest news from cannabis leaders and the cannabis industry. Please visit our page often. Cannabis is a fascinating plant. We can help you obtain the full benefits of cannabis as a medication and as a tool to enhance your life. Meet at Magnolia! Your Oakland dispensary. We are here to serve you every day from 9am to 8pm. Our dispensary menu. Browse Magnolia's online menu for photos and descriptions of all our cannabis products. Flowers, concentrates, edibles, vape cartridges... it's all here, and more! Magnolia Oakland's monthly schedule for all patient wellness services is now online. Check out the upcoming groups, classes, and services on offer. Everything on the schedule is a service provided for Magnolia dispensary patients. Magnolia's very own RN Barbara Blaser featured in music video!